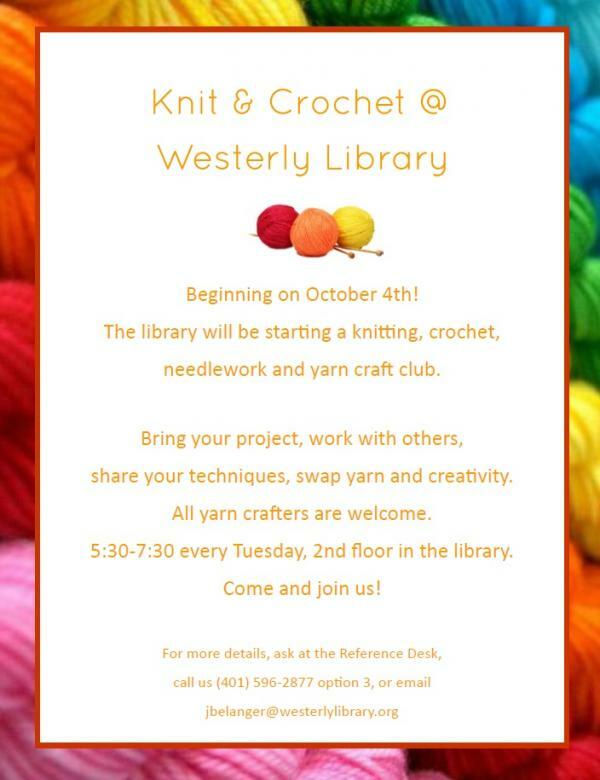 Come to the library on Tuesday nights for a knitting, crochet, needlework, and yarn craft club. Bring your project, work on a project with others, share your techniques, learn new skills, or swap yarn and ideas with fellow yarnies. Join us on the second floor in the Reference Department any time between 5:30 pm and 7:30 pm every Tuesday.